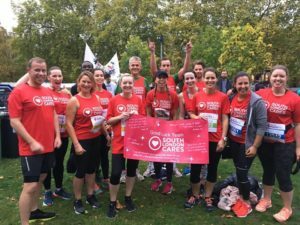 From walks, to runs, to cycles, there are plenty of opportunities to join a team of brave challengers and fundraise for South London Cares to help tackle isolation and loneliness across Southwark and Lambeth. Hackney Half Marathon has proven time and time again that it is the race to beat With thousands of runners, pacers, live entertainment, cheering spectators and fantastic goodies, it's basically a running carnival, and one you don't want to miss! Join our South London Cares’ team and take on this fun race to help us to tackle isolation and loneliness across our community. Superhero in the City is London's iconic 5k Superhero Run. Launching for the first time on Thursday June 13th 2019 at 6.55pm. 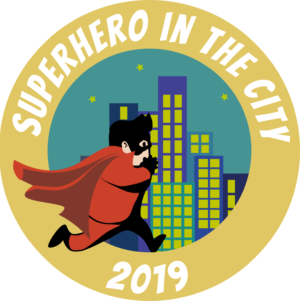 Thisis the only running event where you'll run past some of the most iconic locations in London or the world, dressed as a superhero of your choice! Prudential RideLondon-Surrey 100 is the most popular cycling event in the U.K as riders enjoy 100 miles of cycling on closed roads. Starting in Queen Elizabeth Olympic Park, the route heads west towards Hammersmith, Richmond Park and Hampton Court. Riders then head out to Surrey to take on challenges like Leith Hill and Box Hill before returning into London via Putney. With a spectacular end on The Mall, it's a ride to be proud of. There is often huge demand for this race, so we are delighted to have seven race spots up for grabs. Rough Runner is back in the city, and this year they have and awesome new spot south of the river: in Morden Park. 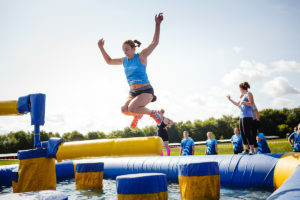 A few minutes from Morden underground station, You’ll get a beautiful run, featuring a full range of massive, awesome obstacles through perfect parkland, with amazing views of the city skyline. You can choose to run either the 5km course, or the 10km course. One of London's most iconic half marathons, the Royal Parks Half Marathon's stunning 13.1 mile route takes in the capital’s world-famous landmarks on closed roads, and four of London’s eight Royal Parks – Hyde Park, The Green Park, St James’s Park and Kensington Gardens. Be one of the 16,000 runners to take on this year's epic challenge.